Time is one of our most valuable resources – I know I wish I had more of it! 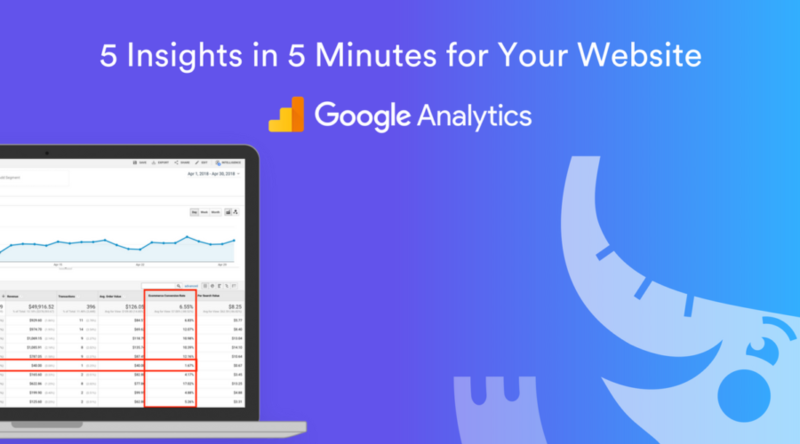 If you’re in search of insights from Google Analytics that you can apply to your own eCommerce store then give these 5 tips a try. 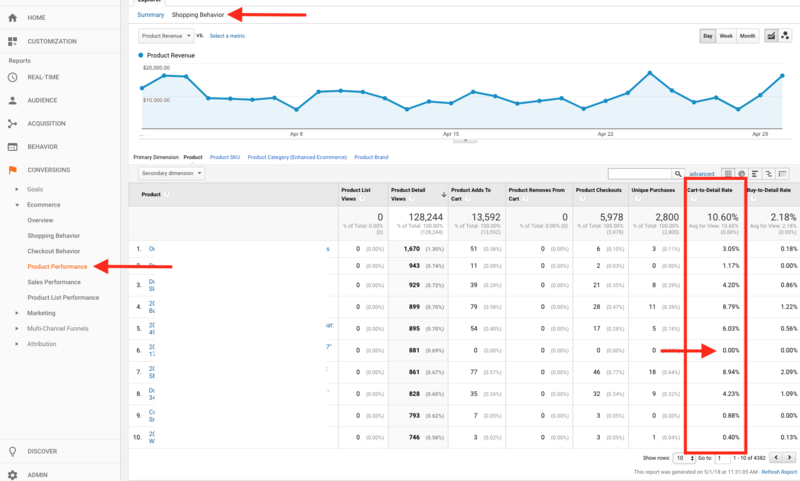 Google Analytics records search queries that users typed in to your own site search. These keywords, straight from your users, are telling you exactly what they are looking to find, evaluate, and purchase. This data is gold! Inside of Google Analytics, go to Behavior > Site Search > Search Terms and then click on the eCommerce explorer option. Your segment of users who utilize onsite search should convert 3x of non-searches. The intent is there..it’s your job to ensure the experience matches! If you’re serious about growing an eCommerce store then you’re running paid marketing campaigns driving new users to landing pages OR retargeting users who previously viewed your website. Understanding when the combination of campaigns & landing pages are not performing well so you can take action on these is critical to stretching your budget to the fullest (versus the alternative of blowing your marketing budget so quickly without a positive return). Take Action: Pick one or two landing pages that are not performing well from a particular traffic source. If a paid ad, does your campaign messaging match the landing page? If you put yourself in your customers shoes viewing the advertisement should the messaging be different between traffic sources? Landing page optimization is a true test applying the psychology of marketing! 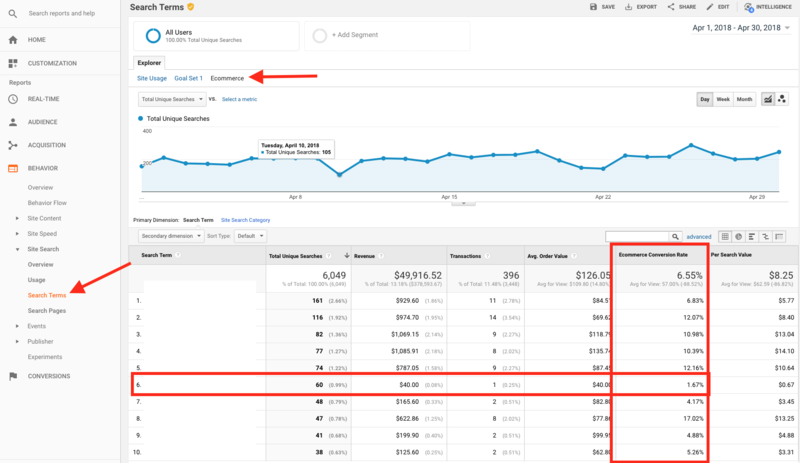 You’ve done the dirty work of getting enhanced eCommerce up and running in Google Analytics. Now it’s time to put this fancy new data into action. Whether you’re driving traffic to product pages through shopping campaigns, retargeting, or through internal promotions on site, one of the most important metrics is the % of add to cart actions taken. In GA this is called “Cart-to-Detail Rate”. 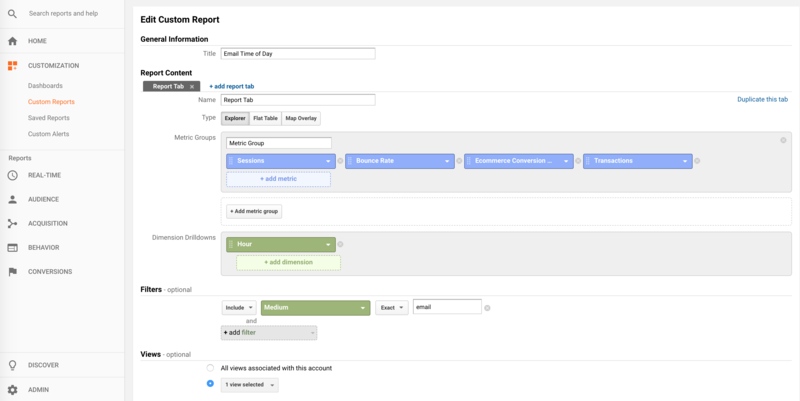 Inside of Google Analytics, go to Conversions > Product Performance > and then click on the Shopping Behavior explorer option. Take Action: Look for major outliers in this ratio that fall well below the norm. In the example above you’ll see this product has a 0% add to cart % even though it’s the 6th highest product with detail views. What to do from here? Is this product out of stock, or appear to be if a variant product is defaulted as the first even if other variants are still in stock? Are there major pricing, image, or missing description details? Bad reviews or minimal content around the product? If you aren’t sure then at the minimum you might want to pause any spend directly to this page until you can develop a hypothesis around the “why” this is performing so poorly. Exit % is not a widely used or useful aggregate engagement metric. But on a page by page basis this can be a very valuable metric to monitor! You’ve probably experimented or currently have a popup modal when users land on your site to try and capture their email. If you haven’t implemented yourself, you’ve probably experienced an “exit intent” modal that pops up when you try to leave a website. While they may be tacky or don’t fit your brand values they do offer an opportunity at a last ditch effort to capture a user’s email before they leave. Some of these 124,562 exits are after a user completes a purchase or may have signed up for an email, etc, but even if I were to capture 1% of these exits that would be 1,250 emails during this time period. Take Action: If you aren’t currently utilizing an exit intent banner or modal then try testing on one or two specific pages to prove out value. Lets say you sell women’s clothing and accessories. If you see a large # of total exits AND a large exit % from your handbag category then try testing an exit intent that is hyper targeted in messaging and offer around handbags. If it works and you see either a lower % of exits and/or a higher # of email signups from this page then it could be a big win for you. Even though I predicted email would be dead in 5 years in my end of 2016 post, it’s looking like I will be dead wrong on that prediction! 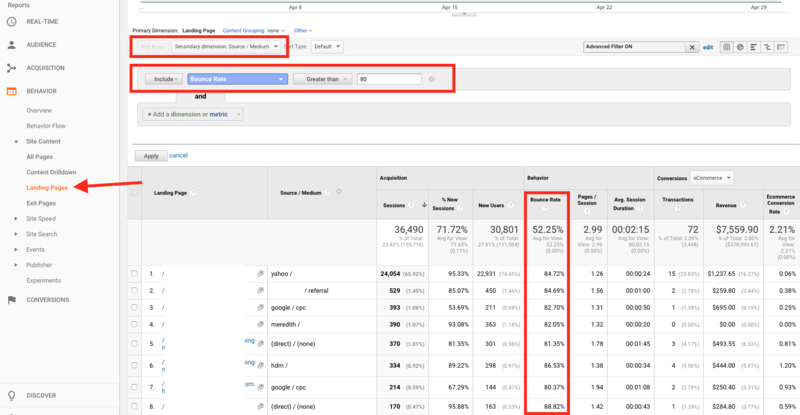 So while I continue to be wrong, gathering insights from Google Analytics on email performance is very important to merge or compare against your email provider data as well (e.g. Klaviyo, Mailchimp, Listrak, etc). This insight will show you how to visualize sessions and transactions that originate from your emails. The graph contains your data shown over the 24 hour span of a day rolled up for the entire date range period. And you also have the table breakdown below the graph with more granular data. Take Action: How can you put this report to use? What is your avg amount of time between sends and opens (data from your email provider)? If a large % open within the first hour or so and your graph looks like the above then you will want to ensure your emails are scheduled to send between 10am – 4pm to capture the maximum traffic and transaction chance. Ensure your emails are scheduled to go out matching the user’s time zone. If you’re scheduled for 8am and have a default time zone of EST then be sure your west coast users have their email delivered at 8am PST vs 5am EST. Put a few of these to use today and let me know how it goes in the comments below! Remember – you don’t need to overhaul your website in a single day. Making small optimization tweaks over time will add up to make a big impact to your bottom line!